Readers have for a long time been asking the question “Where can I buy paleo food and prepared meals?”. In this article we attempt to give an overview of some great options available online. We cover companies delivering chef prepared Paleo meals as well as great places to shop online for Paleo staples, that will deliver to you whether you live in a remote town or big city. The Internet is chock-full of resources for those looking to make Paleo eating a more sustainable part of their everyday life. While it may have been difficult a few years ago to find companies dedicated to Paleo customers, there is now a wide array of companies and services available to those who wish to eat grain, dairy, soy, and legume free. Whether you’re looking for chef-prepared meals, pre-cooked ingredients, or simply more information on how to shop for and cook Paleo meals at home – you can find what you’re searching for online. What we’ve attempted to do in this article is touch on a number of different ways you can maintain your Paleo lifestyle when life gets busy. Whether you’re looking for a month’s worth of pre-cooked Paleo meals, or online markets where you can find Paleo-friendly ingredients, we hope you’ll find the answers you are looking for here. Many of you cook at home and are adept at finding or modifying recipes to make them Paleo friendly. But you’ve probably also discovered that there are times during your week where you just don’t have the time to shop for and prepare Paleo meals. If you’re looking to supplement your home cooking with a few pre-made meals, we’ve listed several companies who cater specifically to Paleo customers. These companies offer a variety of services, from a-la-carte meal ordering to month-long menus, from hard-to-find ingredients to pre-cooked proteins in bulk. All the companies we’ve listed offer chef-prepared meals and hard-to-find Paleo ingredients shipped straight to your door – no matter where in the US you may live. The Good Kitchen delivers Paleo meals created using organic produce, 100% grass fed and grass finished beef, pastured eggs, poultry, pork and lamb and fish and seafood that is Seafood Watch compliant. They partner with local farms and farmers they have a relationship with, in the area surrounding their kitchens in North Carolina, to update their menu to highlight ingredients that are available in-season at those farms. The Good Kitchen has been delivering Paleo meals since 2011, initially under the name modPALEO before rebranding to The Good Kitchen. All orders include free shipping to our home or office, anywhere in the US, with a minimum of 5 meals per order. They offer a weekly rotating schedule of menu items like for example pork chili Verde, or beef Baracoa. Customers can choose their meals based on protein and find the ingredients for each meal listed. If you’re looking for meals for kids, The Good Kitchen offers a whole range of lunch-box style meals for children. See thegoodkitchen.com for prices, meals and ingredients. Paleo on the Go is a great company to purchase from if you’re interested in keeping a few frozen meals on hand. While many companies require that customers purchase a meal subscription plan, Paleo on the Go allows you to purchase menu items a la carte, and they have options for breakfast, lunch, and dinner. They’ve partnered with a number of Paleo bloggers on a portion of their recipes, so their menu is constantly changing to provide customers with a wide variety of meals like coq au vin or mojo chicken wings. They also have an extensive AIP menu and offer AIP-friendly stews and potpies. The company is based in Florida and have partnered with local Florida farms and vendors. For customers who wish to know exactly where their food is coming from, Paleo on the Go lists their partners on their website. Like all the companies in this section, Paleo on the Go express ships their meals in a specialized cooler box to any address in the U.S.
Trifecta is a great option for customers who are looking for a “bit of everything.” Trifecta advertises itself to dieters looking to supplement their fitness goals with their eating goals. They offer plans for clean eating, vegan and vegetarian diets, and – of course – the Paleo Diet. 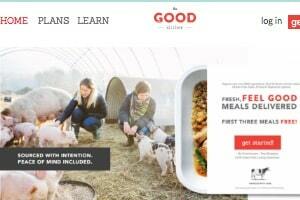 They have rotating, weekly meal-subscription plans that include breakfast, lunch, and dinner. Their meals use organic, clean, and humanely raised ingredients, but for customers who aren’t looking for pre-made meals, they also have a bulk ordering option. Since many of their customers want to portion their meals themselves, Trifecta offers a whole list of pre-cooked ingredients like roasted tomatoes, zucchini, venison, or bison. Like The Good Kitchen, Trifecta ships free to anywhere in the United States. 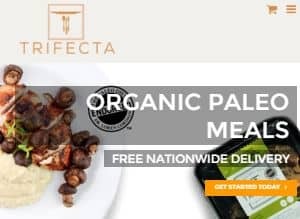 See trifectanutrition.com for current prices for their Paleo and organic meal delivery plans. Trifecta answers the question where can I buy paleo food. Another great company to order from – especially if you’re using the Paleo Diet to help you lose weight – is Eatology. Eatology is based in Texas and is the only company on our list that combines tenets of Paleo with the Zone protocol. The Zone protocol focuses on macronutrient intake, and so all of Eatology’s meals provide a balance of protein, carbohydrates, and healthy fats. Customers can select how many portions (“blocks”) of each meal they want. Meals rotate weekly, including options like brisket poutine and dairy-free Philly cheesesteak bowl, and meal prices remain the same, regardless of content. As a result, Eatology is one of the more affordable meal delivery services on our list! Customers interested in the Whole30 Diet will be very interested in Pre Made Paleo. All Pre Made Paleo meals are not only Paleo, but Whole30 compliant (their head chef has collaborated with the Whole30 organization). Like Paleo on the Go, Pre Made Paleo customers can order a la carte meals as well as meal plans. The company even offers AIP options and a whole host of hard-to-find ingredients (like wild boar sausage, or wild-caught sea bass). They also offer a range of Paleo snacks, spices, and sauces. Customers can choose fresh or frozen shipping options, and meals ship quickly and straight to your door. Perhaps it’s not the cooking that takes up time during the week, but shopping for Paleo compliant ingredients. 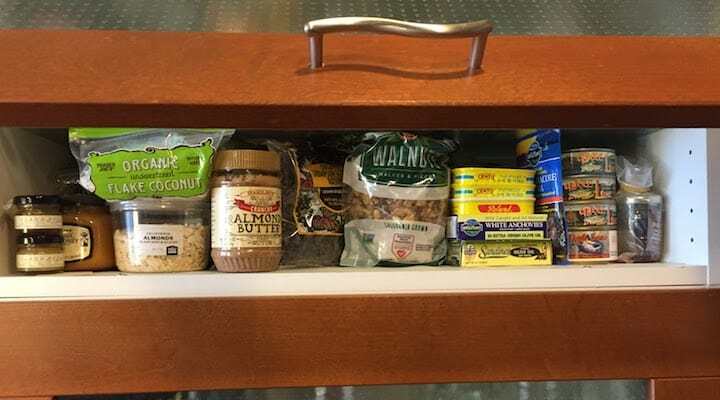 If, rather than searching for meals, you are searching for a way to order Paleo ingredients from home, there are a number of places where you can purchase non-perishable, Paleo-friendly products. Below, we’ve detailed several of the major places where you can buy Paleo food online. While this is by no means an exhaustive list, you should be able to find what you’re looking for here. It should come as no surprise that, with its wide reach, Amazon likely has the largest selection of Paleo friendly, non-perishable food. 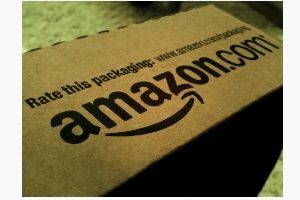 If you know the brands you are searching for, Amazon can be a great option to order from – as you can find almost anything listed amongst its products. However, it’s not the best site to use if you’re not entirely certain what product or ingredient you wish to find. Amazon’s search algorithm is specific, and not all Paleo-friendly products are going to have the word “Paleo” in their name. If you’re a frequent customer, however, and have purchased a few Paleo-friendly products in the past, Amazon will often list a few items for your future consideration in their suggestions as well as having many of the non-perishable products on your shopping list. 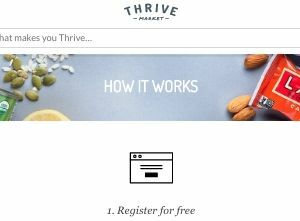 If you’re not interested in searching through Amazon’s overwhelming list of options, you might want to try Thrive Market. Thrive, headquartered in LA, is an all-organic online market dedicated to “cutting out the middleman” and bringing you organic, non-perishable food for less. Thrive even has a section specifically for Paleo. In Thrive Market’s Paleo online shop you can find ingredients listed for 25-50% less than you’d find them in-store. Thrive is able to keep their prices low by requiring that customers purchase a yearly membership ($60) to use the online service. For customers who sign up for a thirty-day trial or a year-long membership, there are often discounts. Depending on what day you’re shopping, you may find additional discounts offered. Thrive ships all over the United States, and orders over $49 ship free. Amazon’s recent purchase of Whole Foods and the addition of the Amazon “fresh” market has allowed customers the opportunity to get Paleo-friendly, perishable produce delivered straight to their door. The main issue with Amazon fresh is that it’s only listed in a few select cities (you can get Amazon Fresh in Boston, Massachusetts, but not Mckinney, Texas). If Amazon Fresh happens to deliver near you, you may also be able to find local ingredients in Amazon’s “shop local” section, as many of your local stores are now partnering with Amazon to ship their goods to you. 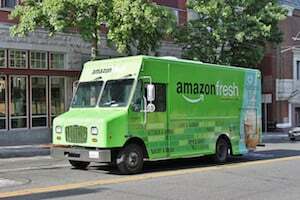 If Amazon Fresh isn’t yet available near you, that doesn’t mean it won’t be soon. Keep your eyes peeled and keep checking back. Everyone needs a bit of support now and then. We hope we’ve been able to provide you with a few different solutions that will help you maintain your Paleo diet when life gets hectic. Between the myriad chef delivery services and the online markets, there are many more options for creative meal solutions than there used to be. Our list touches on a few of the bigger companies, but it is by no means exhaustive. You might also take a look at companies like Instacart or Fresh Direct, which have partnered with your local grocery stores to deliver groceries straight to your door. Several of the larger grocery chains like Giant, Roche Brothers, and Whole Foods have individual websites that allow for online grocery orders. Keep in mind that there are more services out there and that more are opening and expanding every week. If there are places in your area, or if you find a company we should take a look at, please share with us in the comments!